DIRECT FROM LOURDES - Silver Rhodium Plated�Bracelet with Red Crystal Beads. Silver Rhodium Plated�Bracelet with Red Crystal Beads. 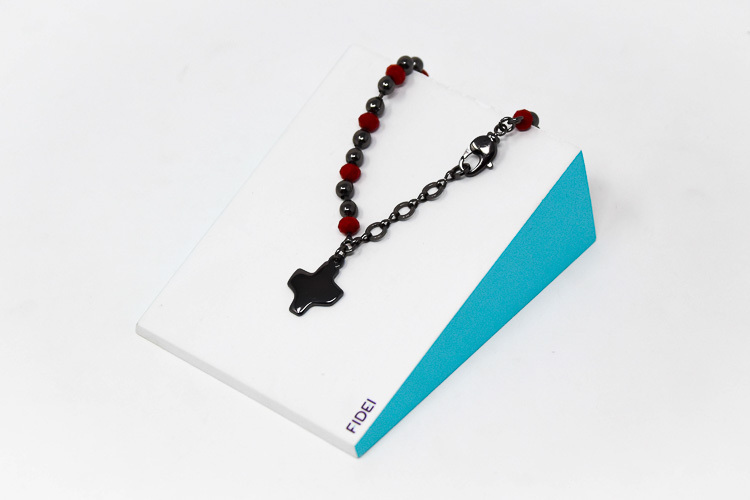 Fidei silver bracelet with red crystal beads and a crystal encrusted in the cross pendant.